The Platte Alliance Water Supply (PAWS) Project is a rural municipal water supply project incorporating 11 communities and additional rural water districts in Southeastern Wyoming and Western Nebraska, along the North Platte River basin. These rural municipalities are experiencing significant financial hardships to treat for significant nitrates, arsenic and uranium contaminants in their water systems. Upstream, in Wyoming, the water quality is significantly improved. 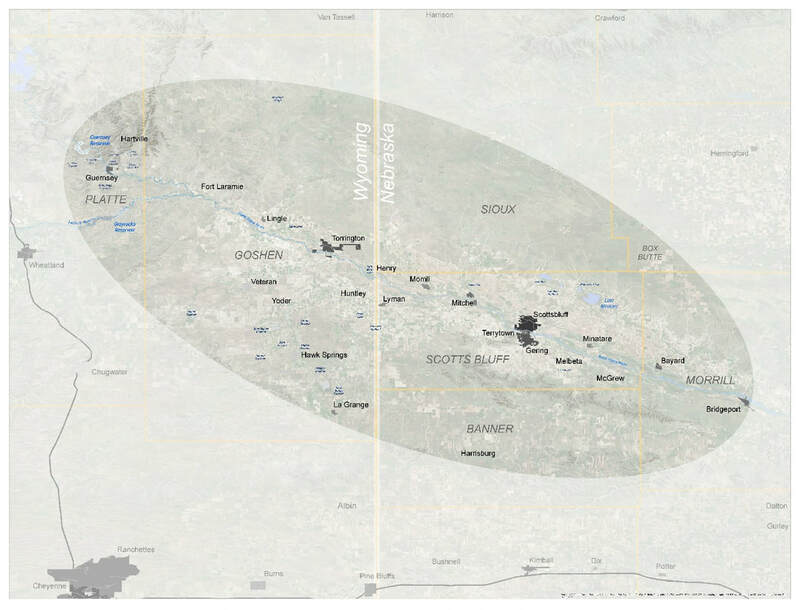 The planning concept is to take water upstream in the North Platte River, where only conventional treatment processes will be required; and via gravity transmission, pipe the treated water downstream to the rural municipalities and water districts. The project will be the first multi-state treated water project for both Wyoming and Nebraska; will involve significant water rights issues (although this is a water quality issue not water quantity issue); operations and governance issues; and financial considerations. ​The initial planning study was conducted via funding from the Bureau of Reclamation, and the current, subsequent (Level II) planning study is sponsored by Goshen County, Wyoming and funded jointly by the Wyoming Water Development Commission and the City of Scottsbluff, Nebraska.